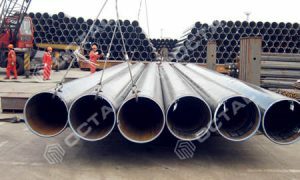 Carbon steel plate usually been considered as the steel that does not contain much alloy steel elements. Generally elements are C, Mn, P, S, Si, besides these there are no minimum limits for elements of Al, Cr, Ni, Mo, V etc. Carbon steel plates are available in different grades depending on the carbon content and strength. There are low, medium, and high carbon steel plates. The more carbon content, the more durable and stronger the plate becomes. 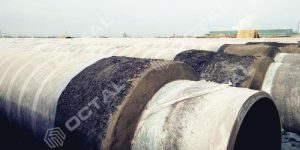 There are further sub-categories depending on thickness and usage as well as the formation process. 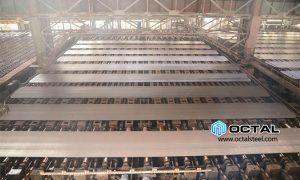 Usually carbon steel plates vary from 0.4 mm to 80 mm in thickness and 1000 mm to 45000 mm width, and they can be of length up to 18 meters. But the length is customizable which helps the customers to put them into various applications. One can also make cold rolled steel coils from them. 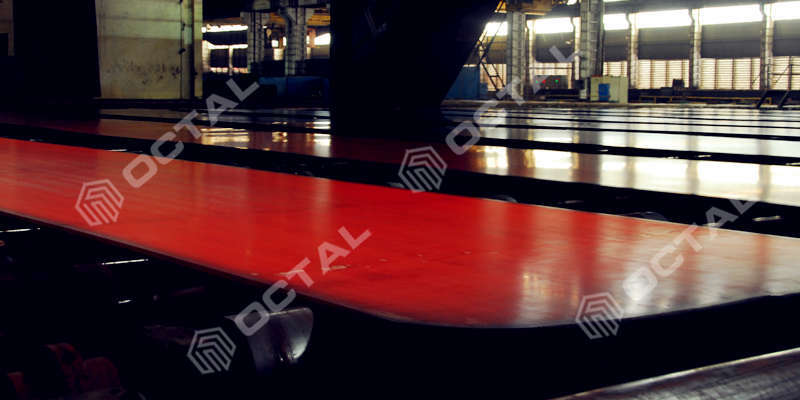 Low carbon steel plate: For carbon content 0.06% to 0.25%, also we call it mild steel plate. Medium carbon steel plate: C content from 0.25% to 0.55%. High carbon steel plate: 0.55% to 1.0%, also called hard steel plate. 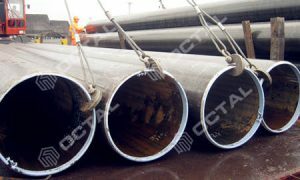 As the content of Carbon increase, the steel plate hardness increases. 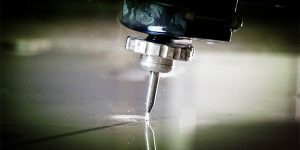 What Are The Different Types Of Carbon Steel Plates Available? 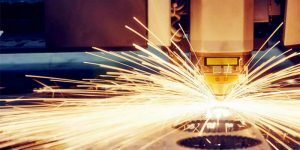 Carbon steel plates have versatile applications in different industries. It is classified according to the carbon content from low to high. It is also classified according to their usage and application. 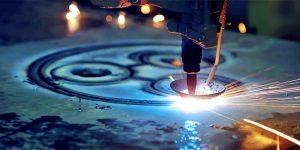 Different types of carbon steel plates are used in machinery and production companies as the base material for component construction. Its durable property makes it ideal for various manufacturing parts. 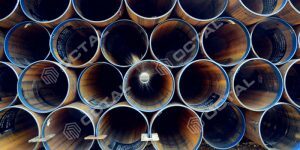 Apart from carbon steel plate, there are vessel steel plate, shipbuilding or construction steel plate, structural steel plate, pipeline and stainless steel plate. 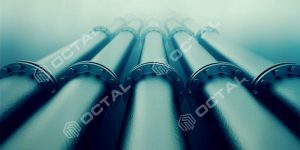 Below there are Different Types Of Carbon Steel Plates And Their Usage. 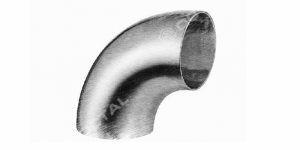 It is mostly used in construction industry and hence, the quality, durability, and performance have to be of highest standard. They have to withstand overweight load and pressure and must be corrosion resistant. It is known by the name construction steel plate. These are high-pressure plates generally used in designing vessels, boilers, and heat containers. Carbon boiler steel plates have low corrosive property and can withstand low heat. 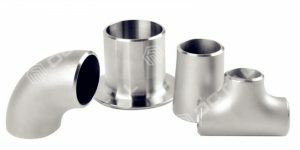 Several layers of either chromium or nickel are added to make it suitable for usage in various environments. These plates are used for building of oil and gas tanks, storage tanks, water tanks, and tanks for storage other all kinds of stuffs. 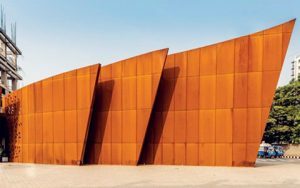 Shipbuilding Steel Plate – These plates are in high demand especially from oil and gas industry as they require thick plates of extremely good quality. 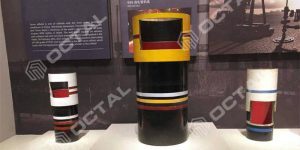 Most of these are made according to the specifications of the customers and the steel used is certified because a small lamellar tear can be fatal. Carbon steel plate almost include all the common standards of steel plate/sheet. 2. 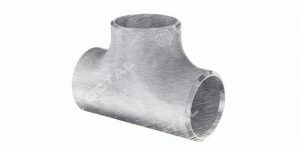 ASTM A283 Grade A, B, C – Also most common material in carbon structural. 3. 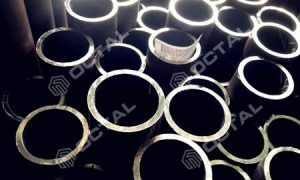 ASTM A516 – For boiler, vessel steel plate. 4. 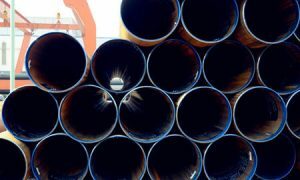 ASTM A537 – For heat treated carbon steel plate in fusion welded pressure vessels and structural steel plates. 5. 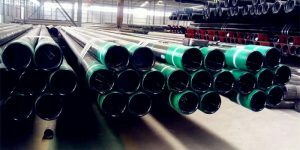 ASTM A573 – A kind of structural steel plate with carbon-manganese-silicon. 6. ASTM A572 – ASTM A572 plate mechanical strength is higher than A36. Where with lower weight. 7. 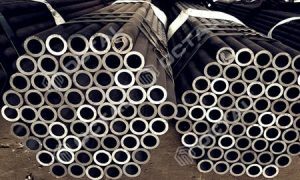 ASTM A737 – For boiler, pressure vessels steel plate of low alloy steel. So carbon steel plates have a widely coverage for different types of steel plates in different industries. 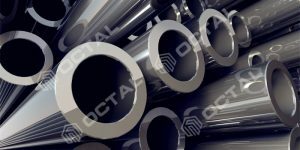 Octal has carbon steel plate on sale, with very competitive prices from China, if you have any projects required for above plates, just contact us for a good offer.